From Melbourne to Manama: Who's the Boss? Growing up, I would go on holidays to the Subcontinent and I was used to seeing cooks, cleaners and gardeners at my relatives' homes. My other reference point for home-help was Tony Danza from the 80s series, 'Who's the Boss?' ... how amused were we, trying to work out who had the upper hand, Tony or Angela?... 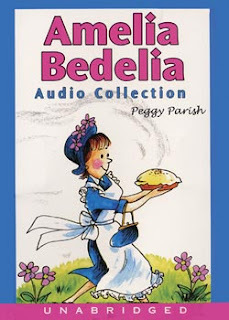 And then who could forget the 'Amelia Bedelia' series of children's books... Amelia was a maid who always seemed to get directions wrong or confused, with comical consquences. At the age of seven, I found her hilarious. I have a maid. There I said it. Don’t misunderstand me, I’m not rich and nor am I famous. This is life in the Middle East and it’s less common not to have home help than to have it (in some capacity, part-time, full-time, live-in). I have someone around who helps out with the cooking, sweeps, mops and generally cleans up after us. She even babysits occasionally. This sounds great - but funnily enough, Tony and Angela were not off the mark about leadership tussels and we certainly have had a few comical moments with Mala (our maid). Mala is a school teacher from India who moved to the Middle East almost 12 years ago, after she separated from her husband. As a single mother, she needed to make a living, so she left a two year old daughter behind with her mother and sister and because teaching wasn’t the most lucrative profession for her back home, she decided to find her fortunes abroad. Unfortunately, housekeeping was the only work available to her – and working as a housemaid in the Middle East paid better than any of the teaching jobs she was eligible for in her home-city Bangalore. Before our family, Mala worked with a local family, then she worked for four years with an expatriate family. She came to us with great references and her previous employers assured us that she was honest and reliable. I remember the day she came to work for us – it was a couple of days before her previous employers were to leave Bahrain. She was in tears because she had become a part of that family and didn’t know how she would be accepted into ours. But as time passed, she got used to us, we got used to her and she has become a part of our daily life in Bahrain. Mala has been working for us full time for about a year and a half now and although we get along, the transition has not been without its difficulties. I’m not complaining, because we are lucky to have a reliable person like her around – it’s especially a huge help as M works full time and I work part time. But, people are people after all and it takes time for you to get used to the way someone else does things or for someone else to get used to the way you do things. Her previous employers, though praising Mala’s good qualities, did warn us of one thing – that she cries at the drop of a hat. We’ve noticed. Coming from Australia, I am used to an egalitarian way of thinking and rather than treating her as an employee, I started off by treating Mala as a pal. She wanted to call me ‘Madam’ and M ‘Sir’ as all the maids do in Bahrain. I told her I wasn’t comfortable with that (but do you think she listened?). I wanted to give her the freedom to do things as she pleased at our place because I felt bad for her and the fact that she really has never enjoyed freedom. But, I had to draw the line when I saw her do ridiculous things like iron our socks and undies, cover our shelves and counters with tacky plastic tablecloths and machine wash our clothes on a 1.5 hour cycle. I soon realised that this wouldn't work for me. I didn’t want her to make decisions for me - even the very mundane ones like deciding what my family was having for dinner, deciding what groceries we needed and being responsible for buying them and being aware of what was going into my daughter’s snack box. When it comes to your family, you don’t want to give up control of certain things. That’s when I realized, whether I liked it or not, I would have to become a ‘madam’and start dishing out orders to get things done the way I wanted them done (in the nicest possible way). So even though I am not used to being particulalry assetive, I try to tell her the way I like things done and I tell her that there are some things that I just want to do myself. I let her do things her way too – but if it means a lot to me, I say something. The problem is that sometimes, when I say something about her way, she looks like a wounded deer for the following twenty-four hours. A few months ago, I would have let things go. Now, I have realised that I can't feel uncomfortable or walk on egg shells in my own home. I have to do things the way I want them done. Lately, I've spent an extended period at home and have had to take some time off work. This hasn't helped my relationship with Mala. I feel as though we have been getting in each other's hair. It got to the point where she voiced her grievances with me and we had to have a chat about it. Things did not go 'Who's the Boss?' style and our issues were not resolved within a half hour time slot... but we worked things out, eventually, after a couple of days. So having a helping hand is not in reality a stress-free dream situation. There is an extra person to please, to worry about, to care and look-out for. Mala talks fondly about the children she’s looked after over the years and shares a good relationship with my daughter who trusts her as a carer and friend. Even so, I don’t think this replaces what she has missed out on with her own daughter. She hopes that her daughter will one day appreciate the hard work she has done to give her a good life. I hope so too. You raised some interesting issues about independence vs assistance! When I returned home from work today there was a pile of washed, ironed and neatly folded clothes on my bed. When I left home in the morning they were a jumbled mess in my washing basket. It made me feel slightly decadent but I did feel a smile creep up on me.